I Made It Workshops is excited to be a part of the Community, Craft Beer, Music; a block party to promote and support local businesses, celebrate the community, enjoy craft beer, and music. Saturday August 11th, 12p-11p The block between 22nd Avenue and Park Avenue on California Street will be transformed into a beer garden with local businesses, craft beers and food options throughout the day. I Made It Workshops and other local businesses including Solutions Lounge & Restaurant Denver Featuring Escapology, Carbon Cafe & Bar, ILoveKickboxing – Downtown-Denver, CO, Woods Boss Brewing, Topo Designs, HelloFresh, and ClusterTruck with more to follow. 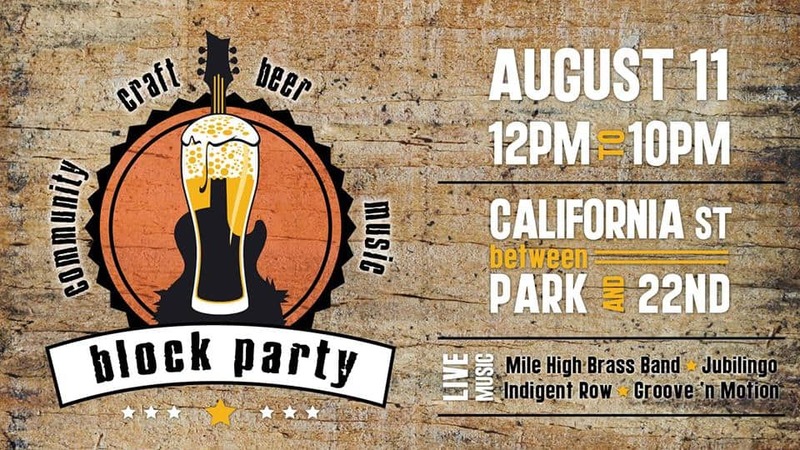 Join us for a Celebration of Community, Craft Beer, local Denver business and enjoy local musicians feature live music from Groove ‘N Motion & The Rocky Mountain Horns, Jubilingo, Indigent Row, and Mile High Brass Band beginning at 1pm.